Skip it : Regan Gentry. 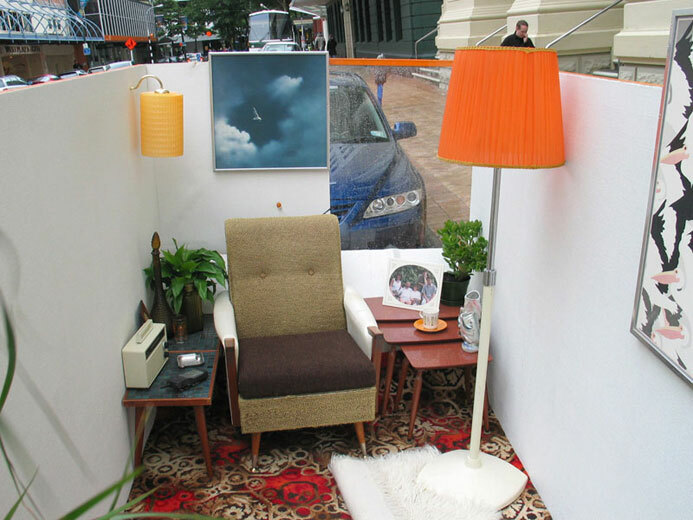 Functioning 1970’s lounge scene set up in a rubbish skip. Three week duration. 3.4 x 1.6 x 1.6m. Wellington Fringe Festival 2004; Wakefield St, Wellington. 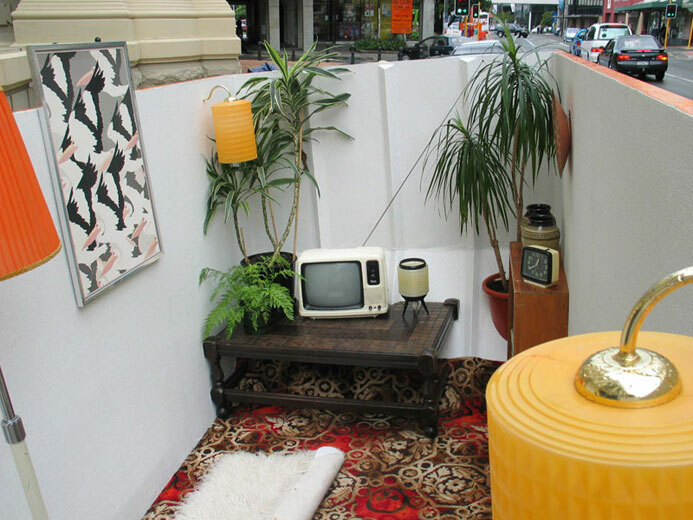 Skip it - over the road - skip bin, decor, electrics, plants. 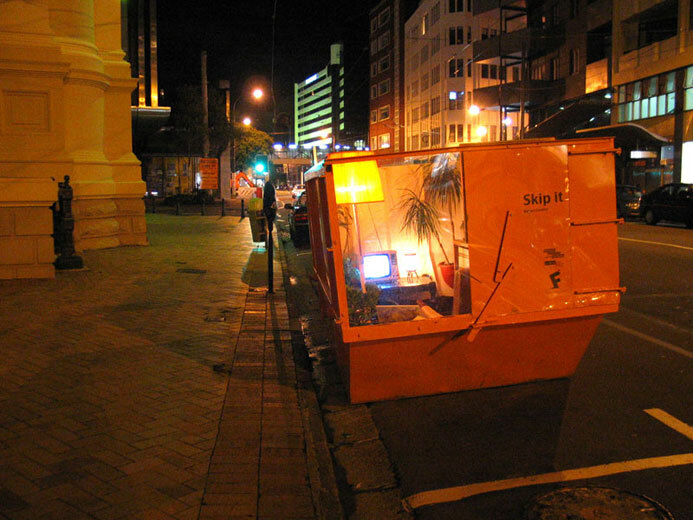 Skip it - night - skip bin, decor, electrics, plants. Skip it - front end - skip bin, decor, electrics, plants. 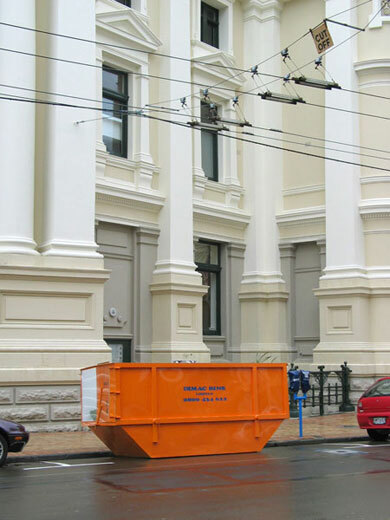 Skip it - back end - skip bin, decor, electrics, plants.